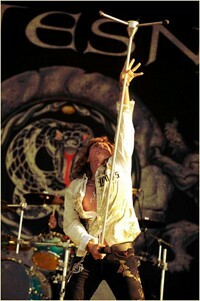 Frontiers Records is very proud to announce the signing of legendary rock band WHITESNAKE. David Coverdale and band are gearing up for their latest endeavour. WHITESNAKE has already started composing new material that promises to deliver one of the finest chapters in WHITESNAKE’S career. “We are off to a very good start, with the new songs taking positive shape. It feels good, fresh & exciting,” explains Coverdale.